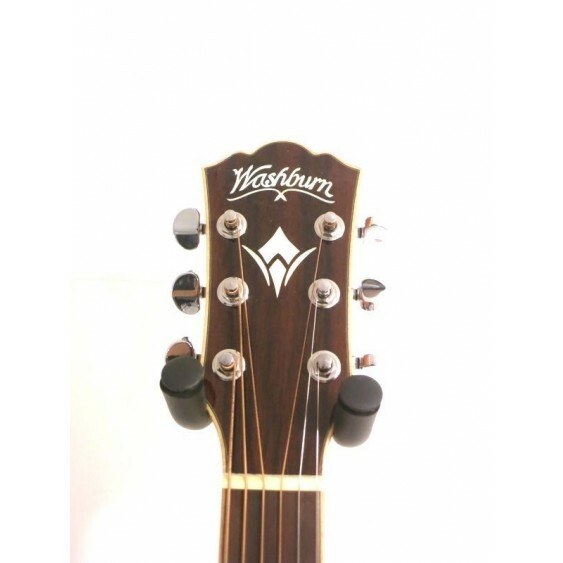 This great guitar came to us directly from Washburn as a factory blem. 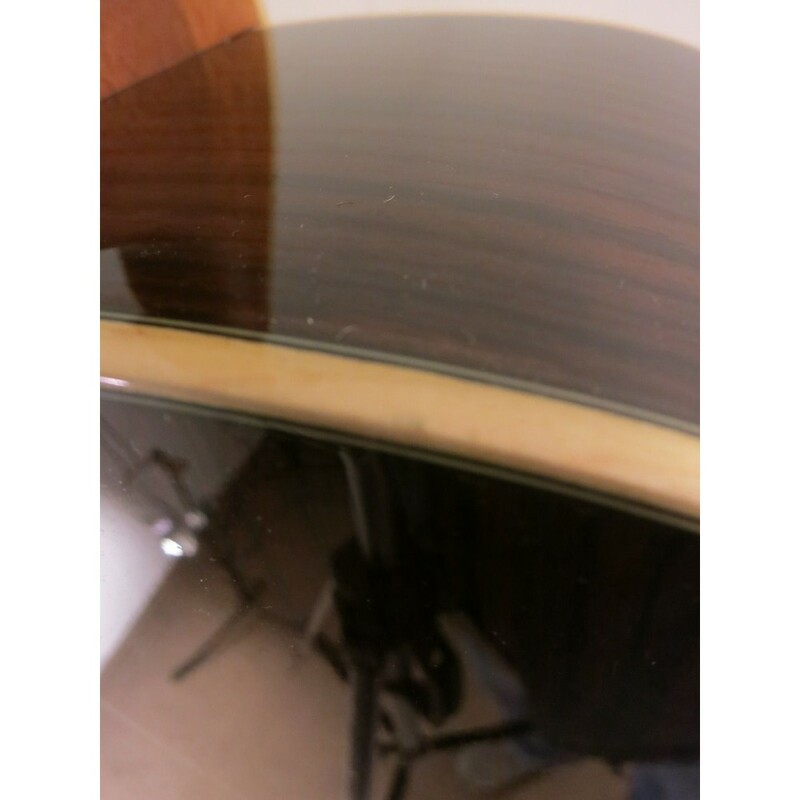 My tech went over it from top to bottom and it plays great and looks great. 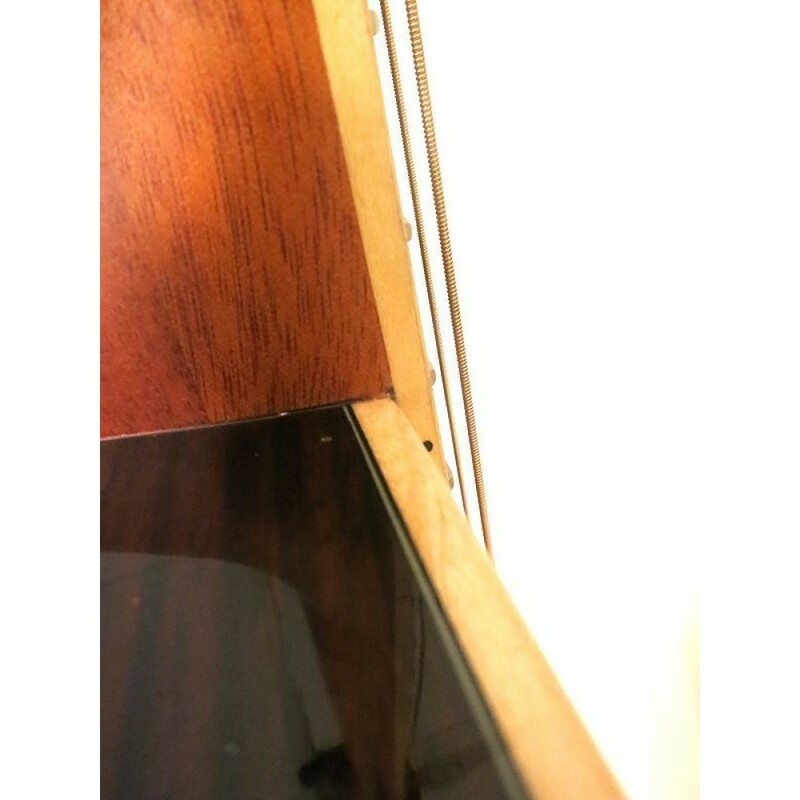 It has a few minor cosmetic flaws which you can see in the last four photos. 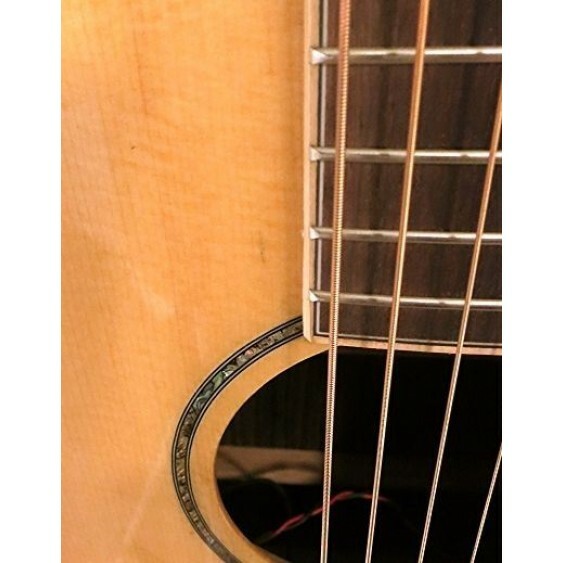 These flaws are purely cosmetic and do not affect playability whatsoever. 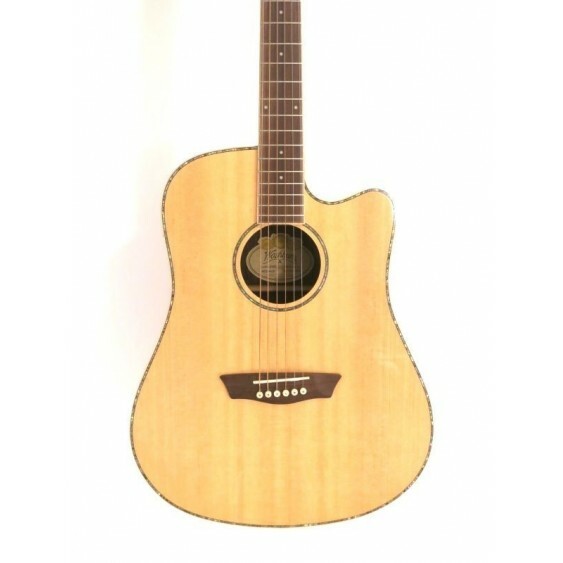 The Washburn WD 25SCE Dreadnought acoustic/electric guitar is made with a solid Alaskan Sitka spruce top, and rosewood back and sides. 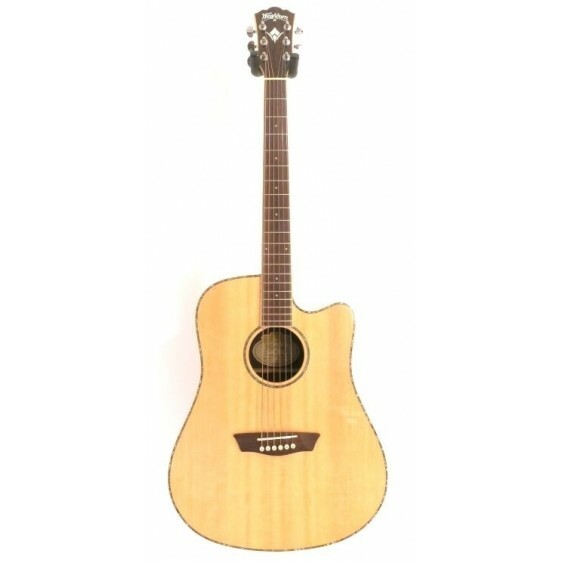 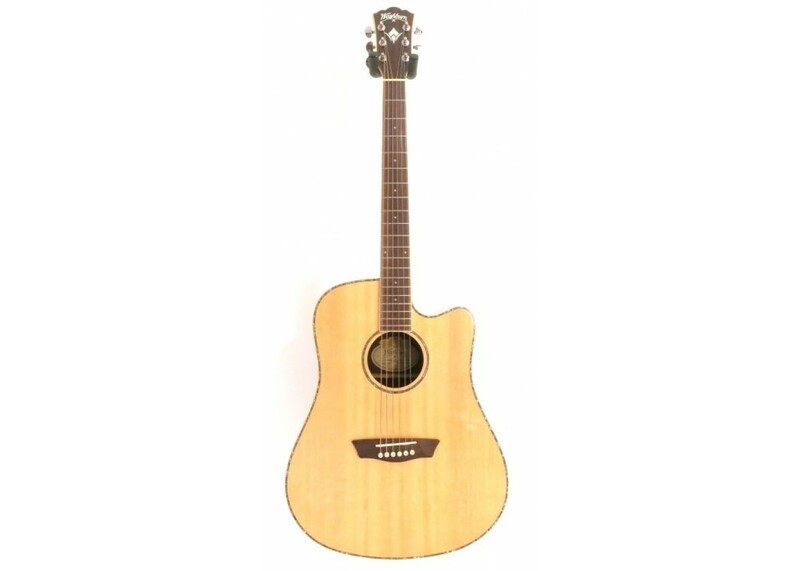 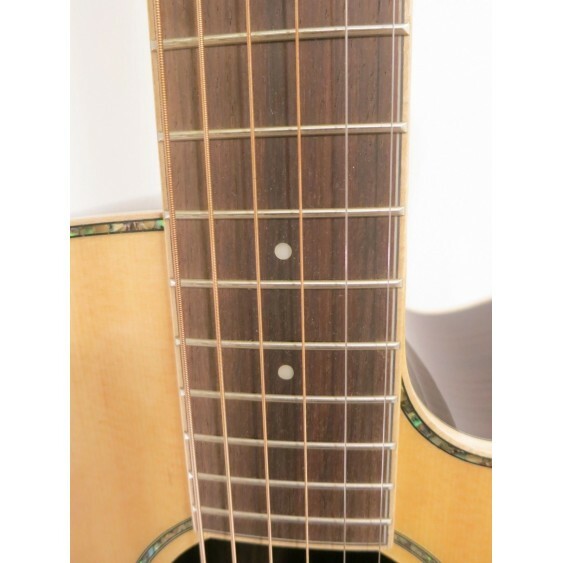 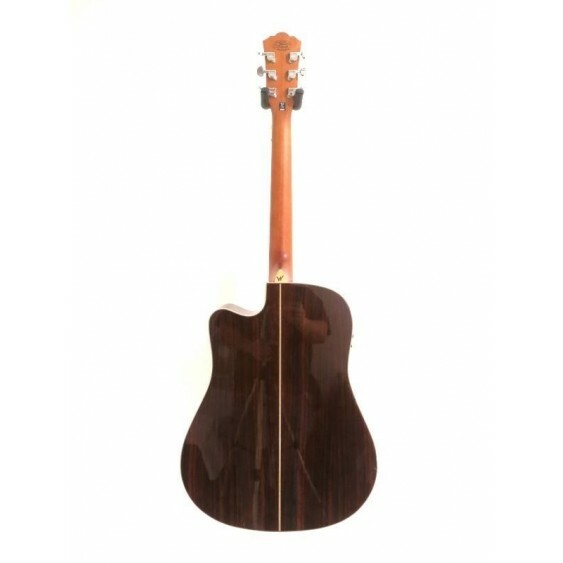 This full-sized dreadnought has a Mahogany neck that is topped with a rosewood fingerboard. 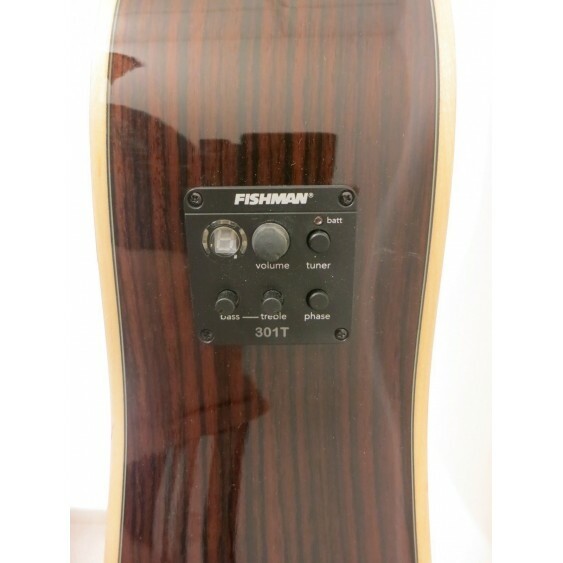 An under-the-saddle Piezo pickup and a Fishman Isys+ Tuner/Preamp System give you the freedom to perform at any venue. 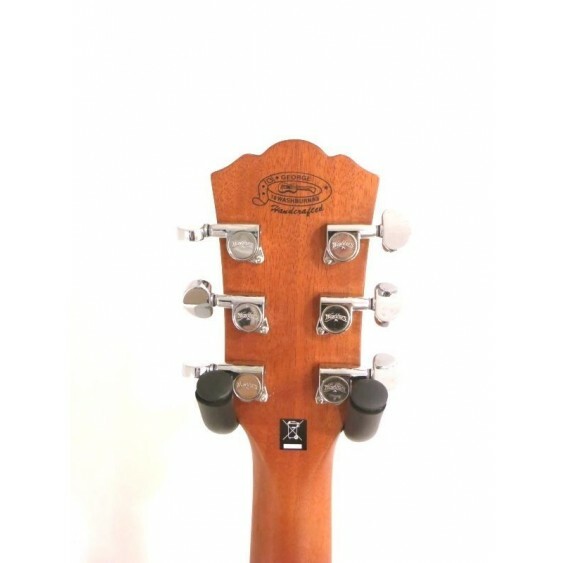 Quality construction features include quartersawn scalloped bracing, rosewood bridge, chrome die-cast tuners, and bone nut and saddle. 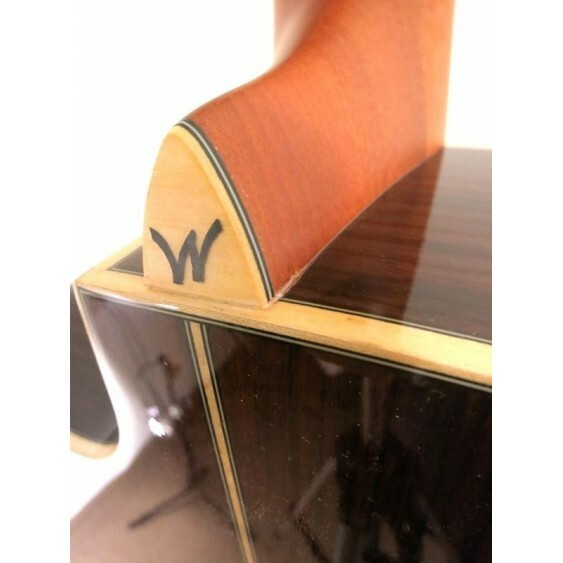 Appointments include a gloss finish, abalone rosette, abalone purfling, binding on body and neck, and rosewood capped headstock with mother-of-pearl Washburn logo & stylized W inlay. 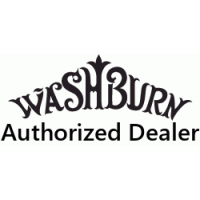 Washburn dreadnought guitars represent some of the best values on the market today. 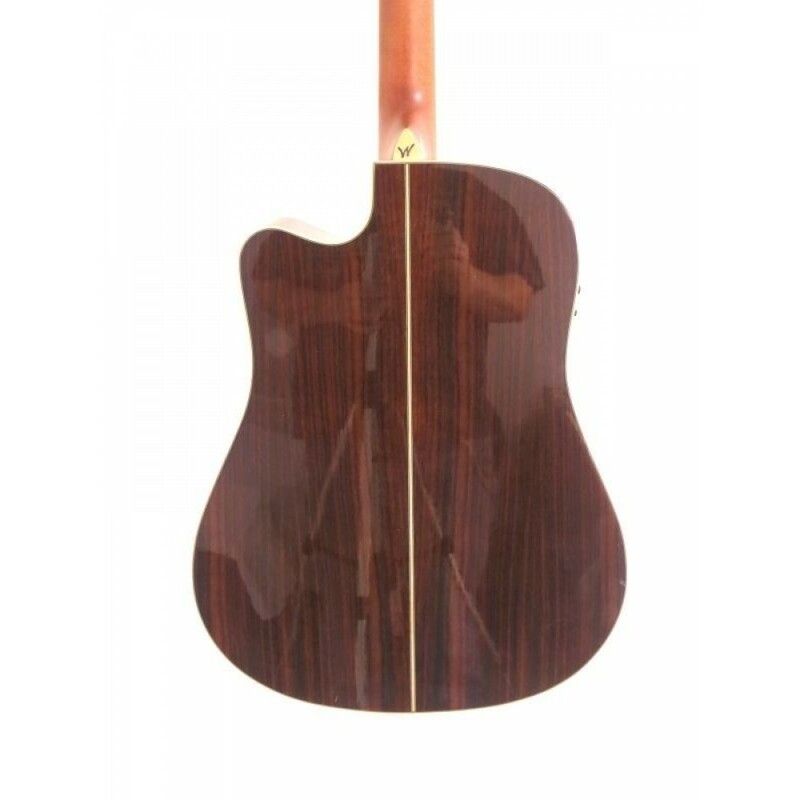 These handcrafted guitars use premium woods & materials and sound as great as they look. Compare Washburn guitars to acoustics costing twice the price and you'll be amazed at the quality and sound that is unmatched by other guitars.